Hot, dry spots are hard to handle. 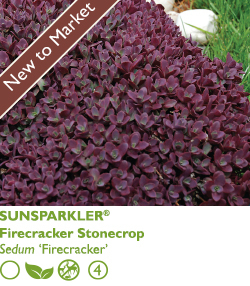 Fill yours with burgundy red color from this low groundcover that thrives on neglect. Vibrant pink flowers in late summer to early fall and are a lovely bonus.